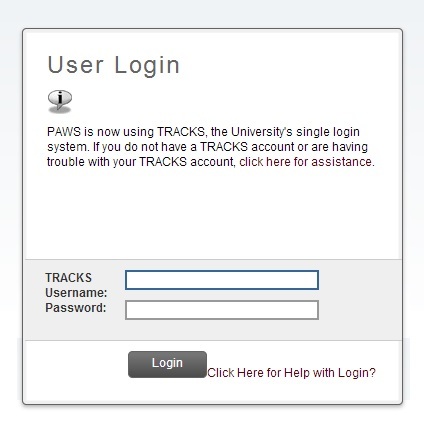 When trying to access unofficial transcripts, students will need to log into PAWS. Please login using your TRACKS username and password into field. After logging in, at the top of the screen, select the Student tab. 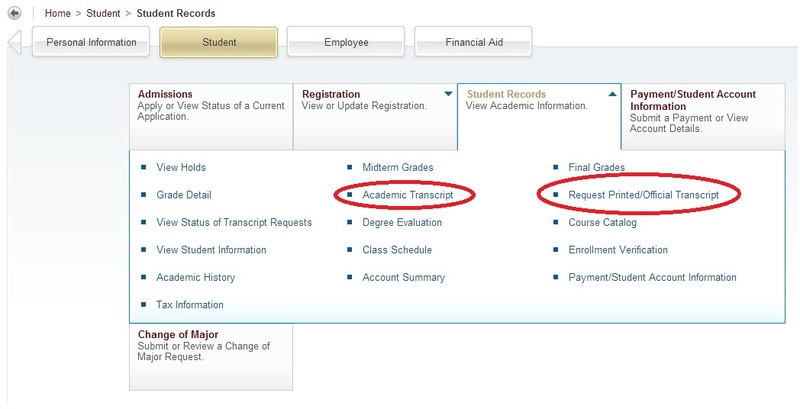 Now you will be brought to the Student Records page where you can select to view an unofficial transcript by clicking on Acedemic Transcript.